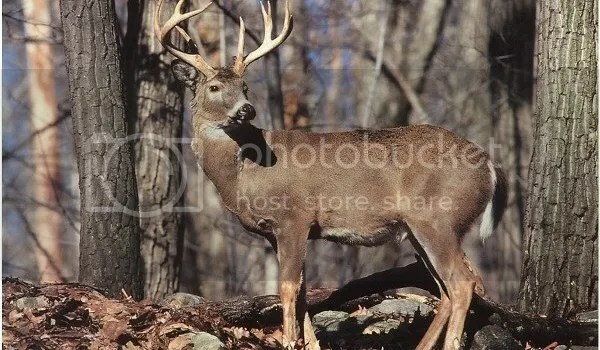 No, not these kinds of bucks. I have discovered yet another use for books. When you sell one, you can use the money to pay a bill. With tuition, food, electricity, 2 kids at home, one in college, and the constant needs of home and car repairs, extra money would be nice. Never fear, I collect, keep, and hoard books. But occasionally, I get extra copies of books or I receive books or I stumble upon really cheap books, and I end up with duplicates. And, there are a few titles that I don’t feel compelled to keep. If you are interested in any of these books, contact me via email at Veritas@Cableone.net. Shipping costs will be based on what it actually cost me to ship. If you live in the area, you can come by Veritas Academy and pick the books up. All prices are negotiable, well, maybe. SOLD! Arndt, William F. & F. Wilbur Gingrich. A Greek English Lexicon of the New Testament and Other Early Christian Literature. 2. Battles, Ford Lewis. The Piety of John Calvin. Part of the P & R Publishing Calvin500 series. Paperback. Rectangle shape—8 ½ by 10 inches. Like new. List price: $19.99. My price: $6.00. 3. Bridges, Jerry. Transforming Grace: Living Confidently in God’s Unfailing Love. Hardback. Very good. Dustjacket somewhat faded. My price $5. 4. Carr, Simonetta. John Calvin. Reformation Heritage Books. This is a children’s book. Ages 7-10. New; in plastic wrap. Hard cover. List price: $15.45. My price: $6. 5. Greer, Peter and Chris Horst. 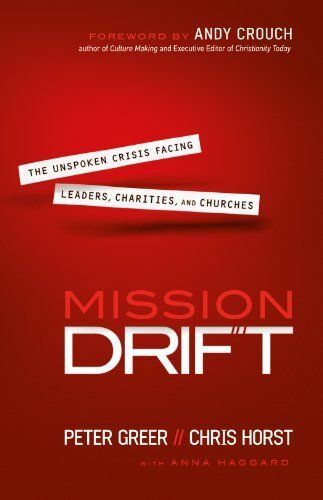 Mission Drift: The Unspoken Crisis Facing Leaders, Charities, and Churches. Bethany House. Hardcover. New. Great book. I was very impressed with it. List price $19.99. I received 2 review copies of this book. Will sell one for postage plus a buck. 7. House, Ben. 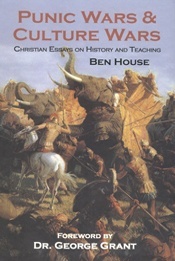 Punic Wars and Culture Wars: Christian Essays on History and Teaching. Covenant Media Foundation. Brand new copies. Will autograph and inscribe upon request. List price: $25. My price: $10. Bulk discounts available. 8. Keller, Timothy. Walking with God through Pain and Suffering. Dutton. Brand new. List $26.96. Price: $12.00. 9. Lawson, Stephen J. The Expository Genius of John Calvin. Reformation Trust Publishing. New; in plastic wrap. Hard cover. List price: $15. My price: $6. 10. SOLD! Lawson, Stephen J. The Unwavering Resolve of Jonathan Edwards. 11. Lewis, C. S. Mere Christianity. Zondervan. Paperback. Crease across front cover. Otherwise, very good. My price $2. 12. Lewis, C. S. Mere Christianity. Walker and Company. Paperback. Good. LARGE PRINT EDITION. List price: $13.95. My price $2. 13. MacArthur, John. Slave. Hardback. New. Great book on the doctrines of grace. 2 copies available. My price $5. 14. Moore, T. M. Consider the Lilies: A Plea for Creational Theology. P & R Publishing. Paperback. New. List price $16.99. My price: $2. 15. Parker, Hudson. The President: A Novel. Multnomah. Hardback with dustjacket in Mylar. Ex-library. Very good condition. What if a liberal President was converted while in office? That is the story of this riveting novel. My price: $4. 16. Reisinger, Ernest. Today’s Evangelism: Its Message and Methods. Craig Press. New. $10.99. My price: $2. 17. Robertson, O. Palmer. The Christ of the Covenants. P & R Publishing. Paperback. New. List $14.99. My price $7. 18. SOLD! Swanson, Mary-Elaine. John Locke: Philosopher of American Liberty. 19. Wilson, Douglas. Father Hunger. Thomas Nelson. Like new. List price: $15.99. My price: $3. 20. Buckley, William F. The Reagan I Knew. Basic Books. Hardback. Like new, except for a badly bumped spine. List price $25. My price $4. 21. SOLD! Gibbon, Edward. The Decline and Fall of the Roman Empire. 22. Graham, L. B. Binding of the Blade series, volumes 1-3. Shadows in the Deep, Bringer of Storms, & Beyond the Summerland. Paperback. New. $16.99 per volume. Price for the set: $12. 24. Kingsley, Florence Morse. Stephen–Soldier of the Cross. Grosset and Dunlap, 1896. Hardcover. Good condition for a really old book. Former church library book. Price on ABE Books $12.50 plus postage. My price $2. 25. Motley, J. L. The Rise of the Dutch Republic. Volumes 1 and 3 of a 3 volume set. 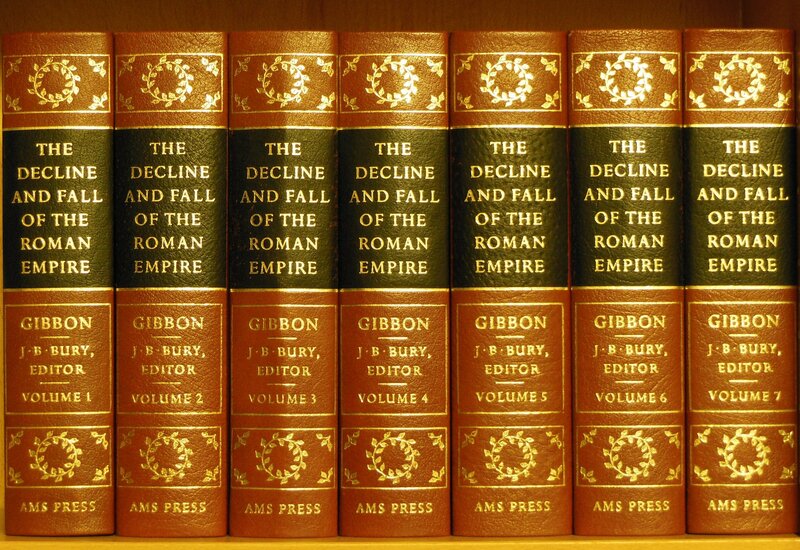 1913 J. M. Dent edition. Volume 2 is available via ABE Books. Volume 1 in good shape. The spine on volume 3 is broken at the bottom. Good condition for old books. Price: $4. 26. SOLD! Hall, Leonard. Stars Upstream: Life Along an Ozark River. 27. Parkman, Francis. Parkman’s Works. Little, Brown, and Company. 1896. 6 Beautiful old volumes of Parkman’s works. Not a complete set. $26. (Anyone interested in the 17 volume Frontenac edition of Parkman’s Works, I would be willing to sell to for $150. Great old set of books. 28. Williams III, Edward F. Great American Civil War Trivia. Small paperback. Premium Press. Like new. List $6.95. My price: $1. No way would I allow books to be piled up like this. 29. Hardback volumes of John Grisham novels (in good condition with dust jackets). $3 EACH OR 2 FOR $5.00. 30. The Last Photograph: A Story of Brothers by Stephen Bransford. An autobiographical account of 2 brothers who went their different ways, but still loved each other. Bransford is a Christian. This is an enjoyable read. Like new hardback with dustjacket. $2. 31. The Forgotten Man: A New History of the Great Depression by Amity Shlaes. Very good. Hardback with dust jacket. Shlaes is one of the best conservative economic historians of our time. This book shows the limitations and failures of the New Deal. Outstanding read. $5.00. Pay Ben. 32. Winston’s War: Churchill 1940-1945 by Max Hastings. Having read many books on Winston Churchill, I was astounded by this incredible book. After reading this book and one other by Hastings, I resolved to buy and read everything he has written. This is a hardback book with a jacket, but it is in fair condition. Actually, the bulk of the book is in good condition, but there is a page torn out somewhere in the middle. (That is why I replaced my copy.) Postage! 33. A Long Obedience in the Same Direction by Eugene Peterson. Paperback in good condition with some underlining and notes. I read a copy of this book a year or so ago and loved it. Peterson is sometime quirky, but often really convicting and enjoyable. This book is a study of the Psalms of Ascent. $1. 34. The Annals of America. 20 volumes, I think. Great collection of documents, speeches, and primary sources in hardbound volumes. $55. 35. Pictorial Bible Dictionary, edited by Merrill C. Tenney. Hardbound volume. Good condition. $2 plus postage. 36. The Story of Arkansas by Hazel Presson. Old copy is in reasonably good shape. $8. 37. The Governors of Arkansas: Essays in Political Biography by Timothy Paul Donovan. Paperback. Like new $10. For many years, I was a night owl. I thought going to bed early meant 11 p.m. I loved the quiet reading time between 10 and 2. My mind seemed more alert and the noises of the day had faded, and it was the best time of the day. I still don’t go to bed early, and I still enjoy the nightly read. I must confess that I like to use the late night reading hour for thriller novels and fun histories. My prime reading time is in the mornings. Something changed in my sleeping and waking habits over the decades. Sleeping until 8 o’clock is now considered as sleeping the day away. It rarely happens. Going to work has been the prime agent in my change, but whatever the causes, I now enjoy morning reading time most of all. 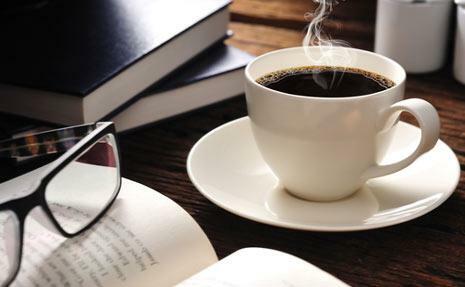 Coffee is a prime catalyst to both getting awake and enjoying the books. My usual pattern is to begin with reading from the Bible (right now, I am in Numbers), then I read from a Christian book or two, and if time is available, I finish out with something related to history, literature, or education. Below is a list of some of the worthwhile Christian books I have read during these morning sessions over the past 5 or 6 months. I am only listing books that I have completed and would eagerly read again. In fact, most of these are definitely on the re-read list. This is a very study of the recurring Biblical images and uses of Eden and the Temple. While we might think Eden is confined to the first 3 chapters of Genesis and that the temple is described in only a few portions of the Old Testament, these authors show the pervasive and recurring use of the images of both. Just consider the subtitle: God is expanding Eden to the whole world. This is a call for Godly worship, evangelism, and Christian conquest. 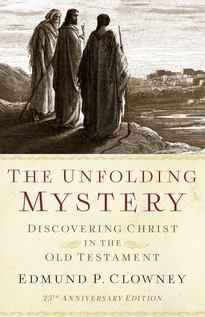 This book will be re-read, but only after I have read Hidden But Now Revealed: A Biblical Theology of Mystery by G.K. Beale and Benjamin Gladd and Beale’s book The Temple and the Church’s Mission. This book has been around for quite a long time; in fact, this is the 25th anniversary edition. Like the book by Beale and Kim, this book surveys the Old Testament for a recurring theme. In this case, it is Christ who is found in the Scriptures. As the picture on the cover of the road to Emmaus reminds us, the Scriptures–Old and New–speak of Christ. This book and the previous selection complement each other. 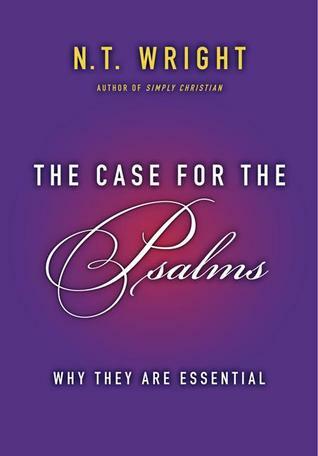 The Case for the Psalms by N. T. Wright Earlier this year, I decided to do some on-going reading and studying of the Book of Psalms. A previous blog post highlighted the two great resources, one by the Lutheran Concordia Press and the other by Premier Printing, remain as great resources for reading and singing Psalms. Then I heard several recommendations of N. T. Wright’s book on the Psalms. I am not one of the big followers of Bishop Wright, and I did stand next to him in a discussion after hearing him speak once, but I recognize him as one of the great theologians and writers of our times. Highlighting his gifts is his ability to write good theology for regular readers. He will make you think about the subjects in some new and helpful ways. This was a good read, and I look forward to reading it again. Voicing God’s Psalms By Calvin Serveld Calvin Seerveld’s best book is Rainbows for the Fallen World: Aesthetic Life and Artistic Task. Why it is not more widely read, reprinted, and distributed is a puzzle to me. This volume is handy. Seerveld has grouped the Psalms and other psalm-like Bible passages into several categories. He has brief introductions to the topics and then presents his translations (sometimes loose) of the passages. I got this book off the bargain pages from Christian Book Distibutors. It was a double blessing–cheap cost and beneficial reading. Like many collections of essays, the content varied. While I might not reread this book in its entirety, there are plenty of essays that would be worth repeated readings. The contributors represent a wide range of modern Calvinistic thought, and the book overall is a great tribute to a great preacher. 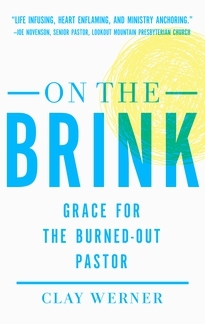 Getting worn out, worn down, burned out, and sometimes burned up is not unusual for pastors and people in church work. As the old saying goes, “There is no hurt like a church hurt.” Church life and work hurts often and a lot. Those of who who have labored in ministry strain under the pressures of maintaining the necessary public face of the job, holding our families together, ministering amidst disappointments. In this book, Clay Werner had to take some time to recoup his heart and mind. His counsel is beneficial. This old book is a collection of talks by such men as G. C. Berkouwer, H. G. Stoker, and others in Grand Rapids in 1946. The contents are both weighty and dated, but these men were solid Calvinists who were applying the Faith to the then current crises. I was impressed with how many staunch Calvinists, many of Dutch heritage, who were holding the fort back in 1946. The first half of the 20th century, including the many ways that World War II burdened the faith, was a not a great time for Reformed theology. But these men were faithful. My copy of this book is not as nice this one. This picture is of a copy available from a wonderful bookstore called Yeoman’s in the Fork, just south of Franklin, Tennessee. 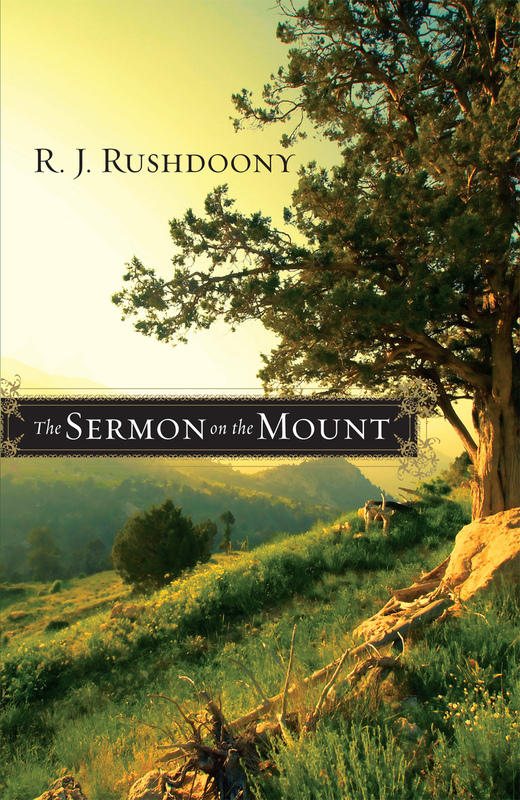 The Sermon on the Mount by R. J. Rushdoony A few years back, I preached through the Sermon on the Mount, and in the process, collected and read through quite a number of books. I just recently received this brief study by the late Dr. Rushdoony of Chalcedon Foundation. Rushdoony always has insights, sidelights, and applications that most others miss. This book is good for a short study, a refresher course on the Sermon on the Mount, or as an aid to serious study. 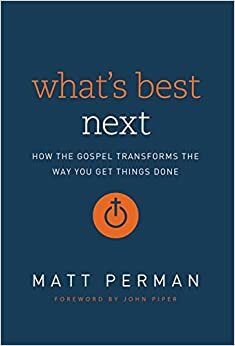 I read this book last year and went to Matt Perman’s lecture at the ACCS conference in June in Dallas. After hearing his talk, I realized that everything he says is useless unless the hearer or reader makes a serious effort to implement his suggestions. When I re-read this book some time back, I determined to try to apply what he says. This is a very good book, worth multiple readings and applications. God grant that I keep my mind on what he says and make some visible improvements. Fool’s Talk: Recovering the Art of Christian Persuasion by Os Guinness Some years back, I read Guinness’ book The Call. I find him a powerful writer. His interweaving of literature, history, and culture into the topics not only makes his writing very readable, but it broadens the applications. This fine work is a must read for apologetics, rhetoric, and Christian interaction with culture. Our Faith by Emil Brunner Since I read and reviewed Emil Brunner: A Reappraisal by Alister McGrath, I thought I should read something by Brunner. This is a very basic, almost catechetical study of Christian doctrines. I always thought that Brunner was one we should maintain a good distance from, but I found this book instructive and well written. As a Calvinist, I nodded in agreement throughout most of the book. His opening chapter sounded like Van Til. 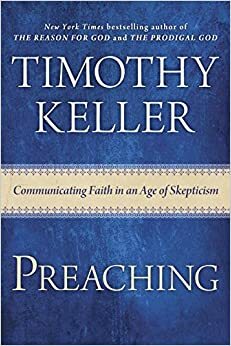 Preaching by Tim Keller This is one of the best books I have read this year. It is, to borrow a term from the famous wrestler Ox Baker, a real heart-punch. Very relevant and applicable to all types of proclamations. At this time in my life, I am doing very little preaching. I hesitated before buying this book, but the name Keller drove me to buy and read. He makes a good point that preaching in the pulpit on Sundays is only one aspect and kind of preaching. Keller has endnotes that are complete essays and great additional reads. I loved this book.